Although it may seem strange, the Halacha (Jewish religious law) recognizes the trade or transfer of a person’s place in heaven. What happens when this idea leaves the ancient books and becomes part of real life? A young officer, in the early days of the State of Israel, returns from a successful operation. He is very hungry. The assistant army cook offers him a ridiculous deal. The cook will make the officer’s favorite spicy omelet in exchange for the officer’s place in heaven. Forty years later, the officer is now a retired general, lonely and bitter, lying on his death bed. 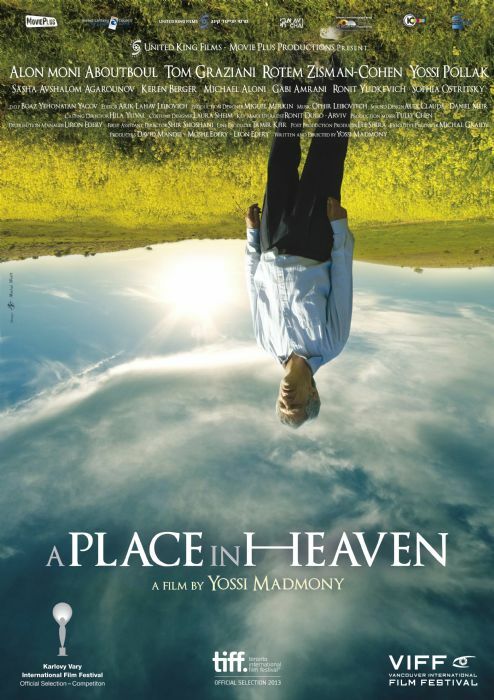 His son, who has become newly religious, decides to search for the assistant cook who, forty years earlier, bought his father’s place in heaven and to convince the cook to cancel the contract. If he succeeds he will save his father from hell and perhaps find serenity for himself. This is a Jewish tale using a little known Halachtic element and at the same time an intriguing observation on the relationship between a father and his son. • "The best Israeli film of the year"